During spring 2014, come and enjoy an unforgettable experience in the Riviera Nayarit. From March 26 to March 30, Banderas Bay will host the eighth edition of the International WesMex Regatta at the Vallarta Yacht Club, which is located at the Paradise Village Beach Resort and Spa. During this important event the participants of the Mexican national sailing team will be selected. They will then go on to take part in international competitions, including the Optimist North American Championship. There is no better place for the regatta than amidst the splendor of Banderas Bay. Lovely natural scenery spreads throughout the states of Jalisco and Nayarit, from Punta Mita in the north to Cabo Corrientes in the south, offering beautiful beaches, romantic sunsets and warm hospitality. 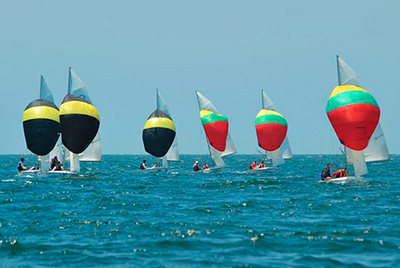 The WesMex Regatta is the most significant national event for young sailors. Last year more than 200 competitors attended, making it one of the most important regattas on the Mexican Sailing Circuit. Take advantage of this great opportunity and enjoy an unforgettable vacation in the Riviera Nayarit, where you can visit Puerto Vallarta, Nuevo Vallarta, Costalegre, Punta Mita and Bucerias. Each of these destinations features a wide selection of hotels, from simple and cozy to complete vacation resorts, and there are plenty of tours as well. Enjoy your stay on Mexico's beautiful Pacific Coast!